MEMO2: MEthane goes MObile – MEsurements and MOdelling | Aren´t that amazing numbers? 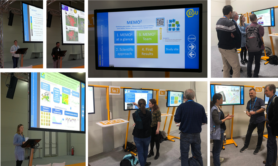 Last week we presented MEMO2 at the EGU 2019, together with more than 16.000 scientists presenting their research. 113 countries participated! 5.531 oral, 9.432 poster, and 1.287 PICO presentations. 683 unique scientific sessions together with 87 short courses and 338 side events. And we were right in the middle! As last year it was a very intense time, with lots and lots of interesting information, talks, posters and inspiring discussions around methane. For MEMO2 we started directly on Monday with a so-called PICO session. PICO sessions are a mixture of oral and poster presentation, which makes them very efficient to present your research. First you give 2 minutes of an advertising talk to make people interested about what you are doing. Afterwards there is the opportunity to show your results on an interactive screen. A great concept, however, it requires quite some preparation and discipline regarding the style and timing of your presentation! MEMO2 was well represented during this session, starting by a general overview and then followed by presentations of our ESRs. We showed the first results of our city measurements (Sara, Hossein), the evaluation of methane emission inventories at the European scale (Barbara) and identified the sources of methane during some long-term measurements in the Netherlands and Poland (Malika). MEMO2 was also well visible and represented by several contributions of colleagues. 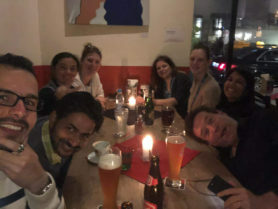 Especially the collaboration of our MEMO2 ESRs Sara, Piotr, Mila, Hossein, and Malika during the COMET campaign resulted in a variety of inspiring results. 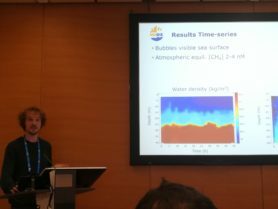 Heinrich Bovensmann (University of Bremen) showed the initial results of combining airborne remote sensing (lidar, spectrometer) of CH4 as well as in-situ data to determine CH4 emissions of the European CH4 emission hot spot area Silesia. The airborne in-situ measurements of CO2 and CH4 and their interpretation using WRF-GHG were presented by Michal Galkowski from the Max Planck Institute for Biogeochemistry in Germany. 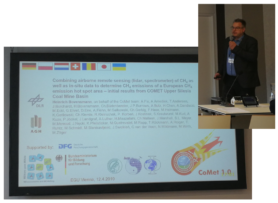 Andreas Luther from the German Aerospace Center showed the quantification of methane emissions using mobile FTIR spectrometry during COMET. Interested how the MEMO2 ESRs experienced the campaign? Read the blogs of Sara, Malika and Piotr! Next to the joint campaigns such as COMET were our ESRs quite active in individual collaborations. Julianne Fernandez collaborated with Max Coleman from Royal Holloway University of London, UK, who presented the characterization of methane emissions from North Sea gas production using δ13C in CH4 and C2H6:CH4 ratios. Together with Semra she also participated in mobile CH4 measurements in London and their isotopic characterisation, presented by David Lowry from Royal Holloway University of London. Hossein measured CH4emissions during the Munich Oktoberfest, which were shown by Jia Chen from the Technical University of Munich, Germany. And Tim de Groot from the Royal Netherlands Institute for Sea Research (NIOZ) investigated together with Malika how the tidal dynamics control microbial methane oxidation in the water column above an active cold seep at the Doggerbank in the North Sea. Additionally, there was the opportunity for the interested public to learn more about MEMO2 and what we are doing during a dedicated splinter meeting. 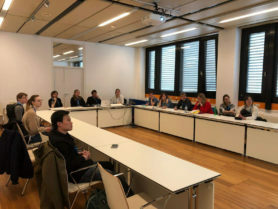 Initial idea is to offer a platform for an informal getting in contact with project participants and discuss questions and ideas in more detail. 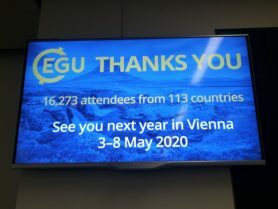 Counting all activities together, the EGU 2019 was – again – a great opportunity to show what we are doing within MEMO2 and excellent networking event! And on top of the science, it was fun. As last year and hopefully as next year, and we are already looking forward to it. 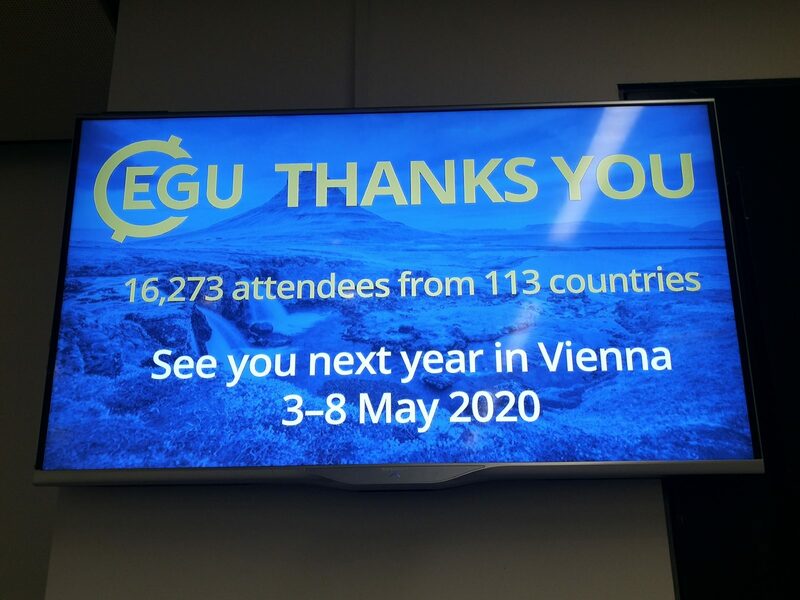 See you in Vienna in May 2020!